We strive to bring you a first hand look at new and exciting gear that is changing the way our troops conduct operations. Veteran-owned company MATBOCK is one we have been watching since our coverage of the Warrior Expo last summer. MATBOCK knows from their personal experience in multiple theaters how important it is to be faster and to trust the gear you carry. Because of this, they strive to create tactical gear that is lighter, more durable and serves multiple functions. This idea that one piece of gear can be used with multiple systems saves the end-user weight on their body and space in their kit. Furthermore, this will reduce the wear and tear on the operator’s body, adding to the longevity of their career and the quality of life they have after their time in the service has ended. One such example of this is the incredibly innovative LIFT System. This small kit allows you to have six-plus different functions that all use the same Combat Carbon Poles (the reason they say “six-plus” is because operators continue to find new uses for these lightweight durable carbon poles). Some items are even available for NSN purchase. Making a ladder or litter to carry casualties are some of the main intended functions, but the possibilities for tactical applications are only limited to the operator’s ability to think outside the box. If purchased separately, all these essential items could cost $600 or more and weigh a combined total of 40 pounds more pounds than the LIFT System. Being easy to use and ruggedly strong makes this an obvious choice. I have spoken with aviators and medical evacuation personnel who appreciate the simplicity and space-saving design. Helicopters and military trucks are already cramped full of gear, and any way you can make more room is a plus. MATBOCK offers a full line of other products, as well. 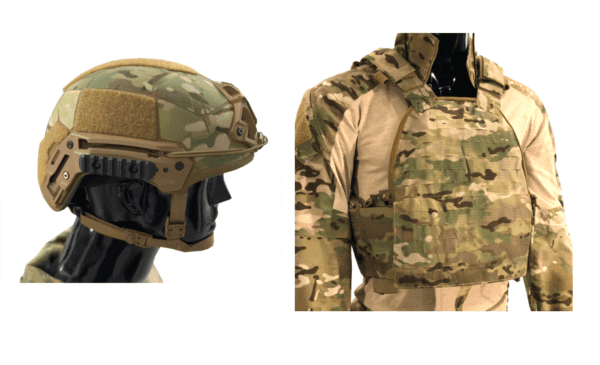 From patent-pending skins designed to camouflage any service to strong lightweight plate carriers designed to stand up to the rigors of combat. They also produce a device that in one compact system combines the two most important needs for survival during any operation: air and water, making it extremely convenient for those military members who are at times required to carry air tanks for emergency situations. >Let us know which product or products you would like us to review next at [email protected].